A new ploy by hackers is targeting smaller institutions by posing as leadership, and it will take a combination of technology and training to keep it from spreading. Malicious cyberattackers are constantly looking to update their tactics to find weaknesses in higher education cybersecurity practices. According to cybersecurity company KnowBe4, hackers have begun to impersonate senior administrative officials as a new phishing tactic against faculty, staff and students at small colleges to gain access to sensitive data. Through extensive research, bad actors have been able to dupe those on campus into opening the door to campus servers. 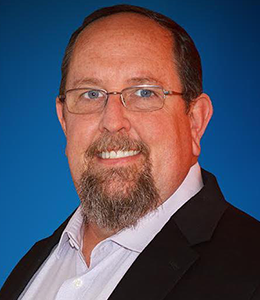 EdTech spoke with KnowBe4 security awareness advocate Erich Kron to find out more about how smaller institutions can keep these attackers at bay and limit their own vulnerability. MORE FROM EDTECH: Check out how universities can train their users to avoid falling for phishing scams! KRON: What we're seeing, which is actually very impressive, is the level of sophistication in these attacks. A lot of people think of these phishing attacks as being something like the “Nigerian prince” scam, meaning they should be pretty easy to see through. Usually it's going to be related to a policy on campus, which the recipient would not expect to see in a phishing scam. It's a different way to approach this. It looks like it comes from someone in leadership and it usually makes much more sense to the people who are receiving it. KRON: The goal here is generally to get people to sign in to their email accounts, or they think they're signing into their email accounts. This is called credentialing. MORE FROM EDTECH: Read more about how institutions can improve their risk management! EDTECH: Why use this kind of sophisticated attack on a school server as opposed to an institution in another industry? Why are smaller colleges more vulnerable? KRON: There's a lot of interesting information in education institutions, like Social Security numbers or student loan information. Schools hold a lot of valuable information, which allows attackers to build a pretty substantial profile of people at a younger age. For example, we've certainly seen instances where children have had credit scores ruined because somebody has stolen their identity. This is not unusual. For smaller institutions, I think what happens is they do not necessarily have the budget to go to very sophisticated sorts of security programs. Any time you are in a smaller university, there is not always a large budget to try to counter these attacks. Unfortunately, faculty at smaller institutions do not seem to get as much of the training on this sort of thing as someone might in the corporate world. KRON: I think one of the key things IT teams have to do is understand that there is a lot of value to training users on how to identify these sorts of attacks. I think, unfortunately, schools focus solely, or disproportionately, on the technology and hope that is going to do it. But that is just not cutting it these days. MORE FROM EDTECH: See how universities are adopting multifactor authentication to keep their networks safe! KRON: I think there are a couple of things institutions need to understand when it comes to accounts. First and foremost, how to deal with your passwords, and second, what we call password hygiene. KRON: I think as we leverage artificial intelligence more, some of the tools that already exist are going to get much more effective at what they're doing. With computing power increasing and with AI advancing, IT teams are going to be able to spot these attacks much faster than they have been historically. And this advancement will help endpoint protection, email gateways, all of these vulnerable places where companies are working to deploy AI. It is really going to help make current protections more effective.